So Rat and Boa are seriously hot and I want so many of their items but this amazing crochet dress is something I'm keeping my eyes open for when it comes back in stock. How can you not want that?! Missguided are pretty hot on the trend of crochet at the moment too providing our shopping habit a lovely outlet that isn't going to set us back by thousands. 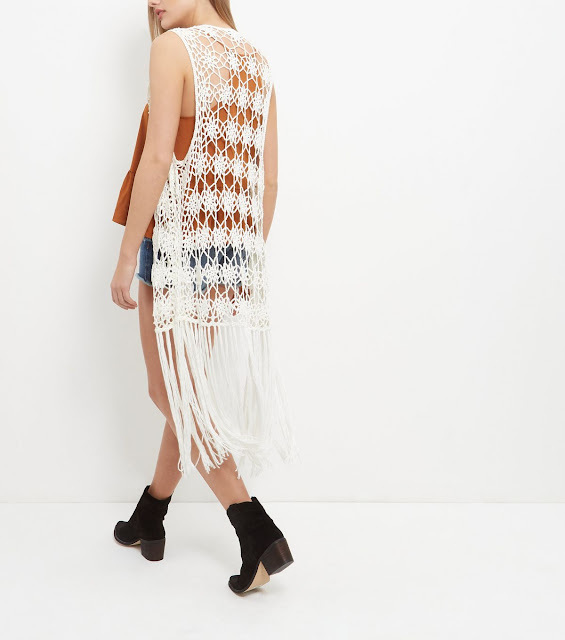 The crochet jumpers are a total must and I will be getting one asap for my holiday in June...perfect over bikinis to stop my pale fragile skin getting crisped up! But also the beautiful crochet dress in white. Perfect for channeling you inner gypsy soul. I would much prefer to wear this stuff on beaches everyday than face reality...maybe one day. Finally this most perfect crochet dress that I'm dying to purchase but can't as H&M is totally sold out...all the time!!! It's not even a case of I want this...I need it! Anyway summer is coming and you can expect to see some hippie style outfits coming in soon as I totally love that style! Enjoy.